Can the IRS Ask for Bank Records in an Audit of Deductions? 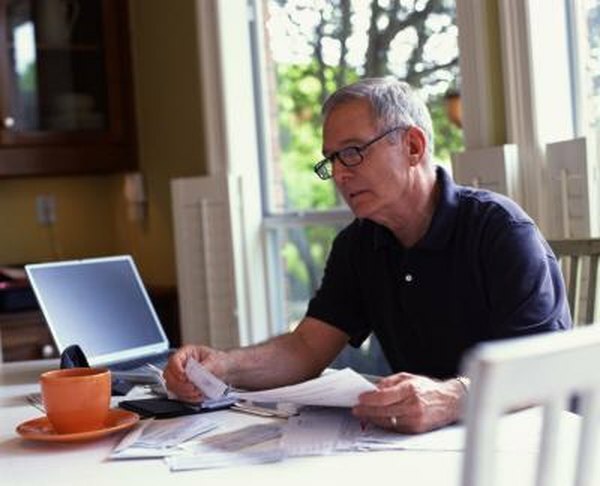 Proving deductions with your bank records may save you tax dollars. 1. Do I Need to Save the Original Receipt for Tax Purposes or Will a Scanned Document Suffice? 3. What Is Required to Substantiate Deductions to the IRS? When an Internal Revenue Service auditor asks for your bank records, he's most likely looking for income – deposits that don’t line up with that which you've reported. In an audit of your deductions, you'll hope that those you've claimed will appear in those records. Your bank records are your proof that your deductions are legitimate. If the IRS has a question about your deductions, you'll probably receive a written communication asking you for records to prove them. These types of audits can be a simple matter of copying your records – including bank records, if necessary – and mailing the copies back to the IRS. Hopefully, you'll never hear another word from the auditor – your return will be approved because the information included in your account statements lines up, and that will be the end of it. The IRS typically has three years to audit you or question your return, however, so even if you've received your refund, you might not be out of the woods yet. It's a good idea to keep your bank records for at least that long. If the IRS is auditing you, there's virtually no limit to the kinds of documentation it can request. Your bank records are not off limits and they may only be the tip of the iceberg. If you don't provide them to substantiate your right to a deduction, the auditor will add your deduction back to your income and present you with a new tax bill. In fact, your bank statements may not be enough to substantiate your deductions – you may need canceled checks as well. Bank records simply show that a certain check cleared your account on a certain date, but the check itself shows who you paid and hopefully includes a memo as to why. When it comes to an IRS audit, there's no such thing as having too much proof of your deductions, and some deductions require more than bank statement corroboration or a canceled check. For example, some charitable donations require a written receipt from the qualified charity. If you're claiming itemized medical expenses, invoices from care providers can back up your bank records, and sales receipts can prove prescription purchases. Some taxes are deductible, and your tax bill plus your canceled check can corroborate not only that you paid them, but that you are entitled to do so -- the bill is in your name. A potential downside exists to being able to prove all your deductions, but only if you have unreported income. For example, if you're claiming $40,000 a year in deductions, but you only report $45,000 in income, this will probably wave a red flag for the auditor. Instead of a mail request, you might be subject to a full blown tax audit, because the agent is going to wonder how you're paying all your non-deductible expenses on that extra $5,000 year. The auditor will probably want your bank records because he'll want to see your regular deposits as well. Itemized deductions aren't the only tax issues that can catch the attention of the IRS. Your bank records might not be pertinent to other deductions, so it's unlikely the auditor will request them. For example, a common problem with the returns of divorced or separated parents is claiming a child and taking a dependency exemption when they have no right to do so. The exemption goes to the parent with whom the child lives for more than half the year. Bank records can substantiate deductible itemized expenses you've paid for your child, such as medical insurance premiums, but to prove your eligibility to claim him, you'll probably need a copy of your custody order. Are Charitable Payroll Deductions Allowed to Be Pretax?